Some time ago, I added to the sidebar the RSS feeds of the Business of green blog, from the IHT. 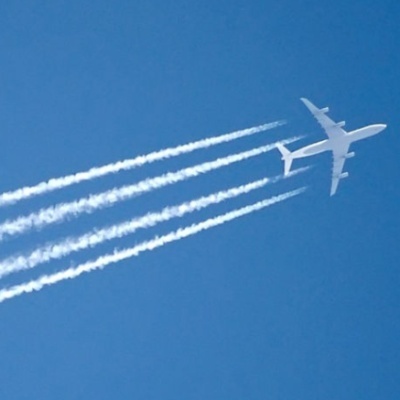 It recently asked a question, what should the aviation industry do in order to limit its greenhouse gases emissions ? A question of importance, as air transportation is increasing in importance and so do its emissions of CO2. According to the IHT, there is an alternative between the technological solution (less oil for the same flight) or limit the short-haul flights. I will here give my opinion. To me, both have to be done. Energy efficiency is a great way to save energy. But one has to remember that technology alone won’t save us, and that behaviours have to change if we want to stand a chance against climate change. This is why, people should rely less on aviation for short distances. Going from Paris to Nice by plane wasn’t really frequently seen ten years ago and nobody was sad about that. According to an interesting article by Terra Economica, 80,000 flights take place worldwide every day ! The world record being 214 flights daily between Rio de Janeiro and Sao Paulo, followed by 152 flights between New York and Chicago. 103 flights take place between Paris and London in the same time. Now going from Paris to London by train is feasible and in France at least, travelling long distances by train is made somewhat easier. Trains are consuming much less energy and emit 10 to 20 times less carbon dioxide than planes. The discrepancy between 10 and 20 can be explained by the energy source for the trains. If they are relying on electricity made by nuclear like in France there will be almost no carbon dioxide emissions. To me, blocking airports isn’t a solution, but an annoyance. One can inform people by other means than by disturbing them as they are going on holidays. Multinational companies (MNCs) should also work more via video conferencing as now the necessary means for such communication are widespread (mostly broadband). Travelling for companies will of course remain mandatory for legal measures and signing contracts, but I am sure that a part of air travels done by MNCs could be cut.